Water impurities can make the water at your Dallas, Texas, home less than desirable for drinking – but instead of wasting money on bottled water, why not opt for a permanent water purifying system? 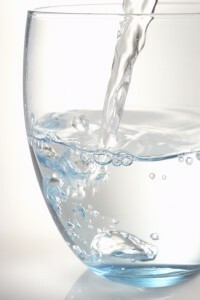 Here at RainSoft, we offer a full selection of water treatment options – including two Water Quality Association-Certified drinking water systems – that can reduce unpleasant odors, flavors, and contaminants. Best yet, our drinking water systems are backed by a limited lifetime warranty, helping ensure that you’ll always have a high quality supply of water right at your fingertips. Our premium drinking water system, the Ultrefiner II, uses three separate filtration processes to give you the highest quality water possible. Equipped with reverse osmosis technology (as well as a pre-filter and a post-filter), the RainSoft Ultrefiner II is perhaps the most efficient water purifying system Dallas homeowners can buy. Our carbon-based water purifier, the Hydrefiner II, uses advanced carbon block filters to remove chlorine tastes and odors from your drinking water. Compact and economical, the Hydrefiner II can also reduce asbestos, lead, and mercury in your home’s drinking water supply. Its secondary filter can trap particles and sediment as small as 5 microns in size. When paired with a metered faucet, the Hydrefiner II helps you enjoy up to 830 gallons of freshly purified water on a single carbon cartridge. No matter which RainSoft water purifying system you decide to have installed in your home, you’re making a smart choice for your family. Your new RainSoft drinking water system can make your water healthier and better tasting; hydration will be more enjoyable, and you’ll have peace of mind that what you’re drinking is good for your body. To learn more about an Ultrefiner II or Hydrefiner II water purifying system, call your local RainSoft dealer today.